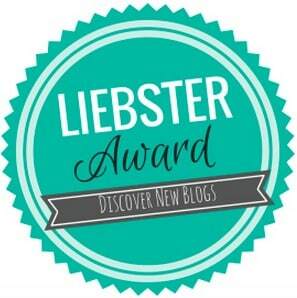 The Liebster Award is an award that is given out to new bloggers in the blogging community! 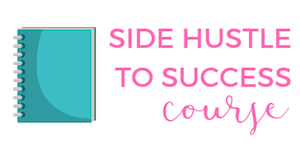 I was nominated for the Liebster Award by Cook With a Shoe – thanks Charissa! How did you decide on the name of your blog? My whole life changed for the better once I incorporated a budget into my life. I really believe having a budget has improved my life for the better. Hence, Believe in a Budget was formed! 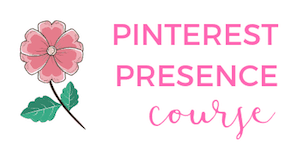 Where does your blogging inspiration come from? I was really motivated to start my blog after having read other personal finance blogs. I really connected to what others were writing! What is it that you love most about blogging? 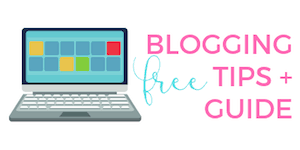 I love being able to write freely and connect with other bloggers. I enjoy when readers leave comments. What is your favorite thing to drink (alcoholic or not)? My favorite alcoholic drink would be a glass of bubbly or a craft beer. I'm obsessed with sparkling water too. In an effort to save money, I received a Soda Stream for my birthday so I would stop buying so much Perrier! What is an item you cannot live without? I definitely can't live without my cell phone. It's my main method for keeping in touch with family and friends, whether it be talking, texting, facetime or social media. If you could live anywhere in the world where would it be? Closer to family – it's hard being on my own. If you could meet anyone from history, alive or dead, who would it be? My Gramma – I miss her. What is your favorite outdoor activity? I love going to the beach or lake with my dogs. I love water and find it very peaceful. Where do you see yourself in 5 years? Putting down roots! I'm working hard to make this happen. Family life sounds pretty perfect. I will now nominate the following blogs for the Liebster Award and I hope you will participate! In this post, link back to and show some love to the person who nominated you as well as nominate other new blogs that would not have more than 1000 followers. Let these nominated bloggers know that you have nominated them and provide a link back to your page to ensure that they are familiar with the Award. Thanks again for the Liebster Award nomination, Cook With A Shoe! You are welcome Kristin! It was fun to read your answers, but now I am a tad jealous, haha. I want to spend two weeks in Tuscany!! http://www.kellycoxathome.com/liebster-award-nomination/ to see my post on Liebster! Thank you, Kristen! I’ve been enjoying your blog so much. We seem to be like minded with budgets, debt free and more! 🙂 Glad to be following you. Blessings! I’m enjoying it! I’m passionate about budgeting. 🙂 So I live your blog’s name for sure. Also, I’m very excited to learn more about how to monetize my blog. I enjoyed your reports from the last few months. I will be checking back for more info and on those affiliates that I’m trying to figure out!!! Thanks so much for the nomination! I thought of so many things to comment on while reading this that we have in common. Pizza is also one of my favorite foods (we actually just had a homemade pizza for dinner tonight). I love the Royal Family too, and considered doing a post on the dollars and cents of the new royal baby, or something similar (maybe I still will). Haunted houses scare me to do death too, as do some scary movies. And I also really get into college football; I’m not sure how I’ll cope here once the college football season starts! Thanks Jennifer! Yes – a Royal Family post!! I am obsessed! That’s so impressive that you were able to save so much money in high school! Pizza is my favorite as well!